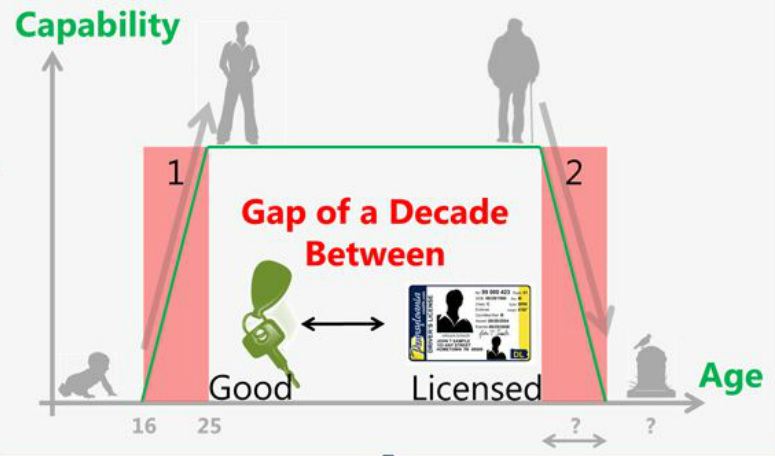 We realized that there is a GAP of a DECADE between when we are good drivers and when we have our driver's license. In fact, it can happen twice in our lifetime! Driving evaluation is the key to this phenomenon. Teen drivers need to complete Graduated Driver Licensing guidelines. Older drivers want to protect against Mandatory Physician Reporting policies. 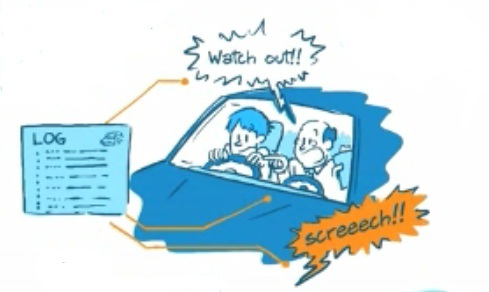 by sensing when the driving evaluator assists with steering, braking, and verbal cues.